INTERNATIONAL BESTSELLER MADDIE ZIEGLER RETURNS WITH THE MUCH-ANTICIPATED SEQUEL TO THE AUDITION. Thanks to a chance conversation, Harper lands a part in the school musical. Not only is this an opportunity to polish up her stage presence, but as the newbie at school, Harper is excited to make some more friends. Plus, Harper would have a big solo number-and maybe it would prove to everyone that she's ready to take that spotlight on the dance side too. Madison Nicole Ziegler, born in Pittsburgh, USA is an award-winning professional dancer, actress, fashion designer, and New York Times bestselling author of The Maddie Diaries. She has also written The Audition and The Callback, the first two books in a series about friendship, dance and chasing your dreams. Maddie starred in Lifetime's Dance Moms for six seasons and has starred in numerous music videos for pop singer/songwriter Sia, including the critically acclaimed "Chandelier" video. 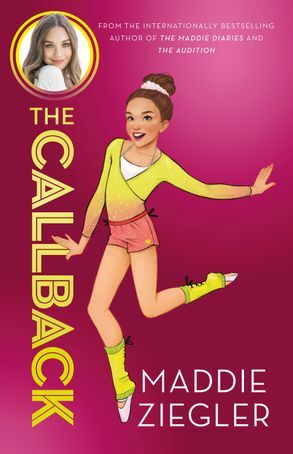 Maddie was also a judge on So You Think You Can Dance: The Next Generation, lent her voice to the animated feature Leap! (released internationally as Ballerina), and stars in Focus Feature's The Book of Henry.